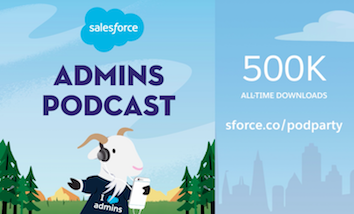 Today on the Salesforce Admins Podcast we’re joined by podcast veteran LeeAnne Rimel, Principal Admin Evangelist at Salesforce, to talk about the 10-day Be an Innovator Challenge. The event brings admins together to learn how to use Einstein Prediction Builder and Einstein Discovery to help build more innovative apps. If you want to get involved, you can access video content right now to get started. Join us as we talk about the Be an Innovator campaign and how you can still get involved. 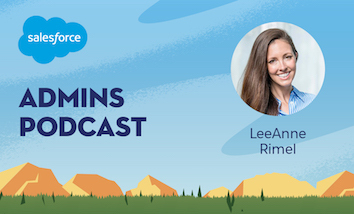 You should subscribe for the full episode, but here are a few takeaways from our conversation with LeeAnne Rimel. Uncovering what you have that’s valuable. Be an Innovator is a new, exciting campaign focused on innovation, but what does that actually mean? “It means for us, as admins, thinking about different ways to build apps to make them smart,” LeeAnne says, “while also expanding how we’re thinking about what tools are available to us.” It’s easy to get comfortable with certain tools and features, but it’s always useful to look at every resource available to you before you start solutioning a problem. The program is focused on everyone in our admin and developer community who is starting to think about Einstein. The main starting place is building out an Einstein use case to start thinking practically about how you can use this tool in your own org. While rules-based predictions have been around for a little while, but that’s not the same thing as the intelligence system that Einstein brings to the table. We’ll also get into requirements, and finally, build a prediction to see what these tools are like in action. Also, there’s swag. 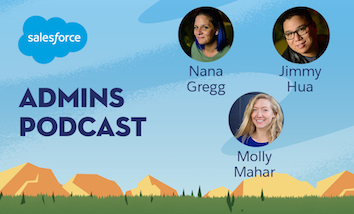 Einstein Prediction Builder and Einstein Discovery were both built for admins, and so they can be really powerful tools to help you get things done. Einstein Prediction Builder is an admin tool that allows you to create a predictive model, “it makes every admin a data scientist,” LeeAnne says. You can then use those predictions in everything from your reports and dashboards to your user experience to automated processes, and that’s only scratching the surface. For Einstein Discovery, you can really dive into the analytics to look at correlations that help you get a sense of the bigger picture. Instead of looking at one factor in a customer’s decision, you can look at several overlapping data points to understand what segments you’re dealing with. 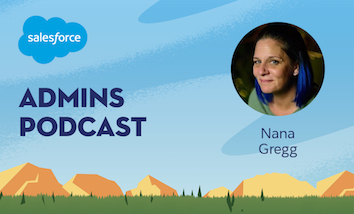 You get a more complete story from your data to connect the dots, “you can look at it and come away with very actionable line items to implement in your business to achieve your goal,” LeeAnne says. The great thing about Be an Innovator is that it’s fairly easy to get involved. The core is a series of six short videos that take you through the process step by step. More importantly, joining the campaign means that you get hands-on time with an org that has Prediction Builder and a whole bunch of data in it. That means that you can get started playing with all the different possibilities and really understand how these tools functions.